Wofftown Lithium Battery Folding Electric Wheelchair will Show in the CMEF - electric wheelchair China Manufacturer Suzhou Wofftown Co.,Ltd. Today i want to share a good news with all of you. 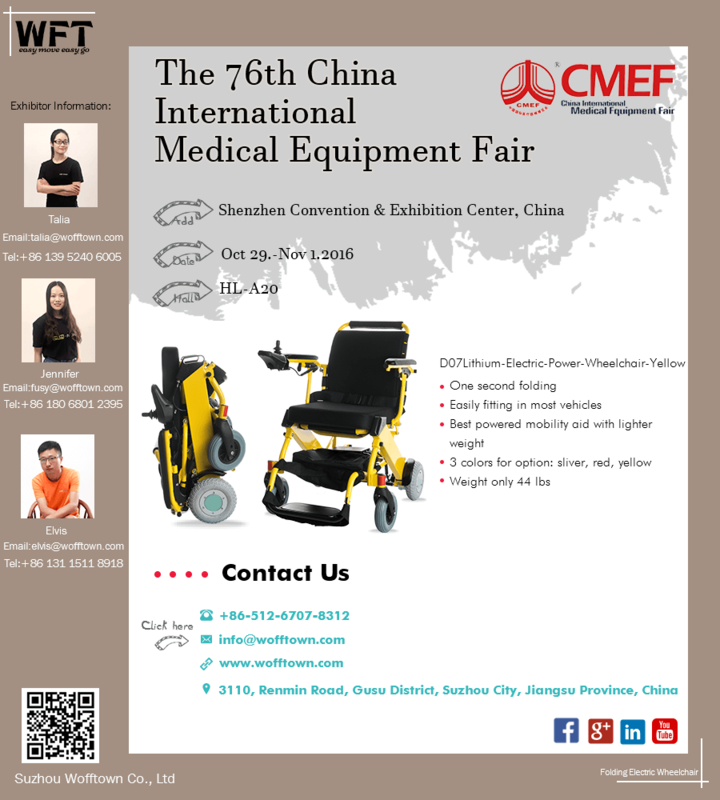 Wofftown will attend the 76th China International Medical Equipment Fair (CMEF) from Oct 29th to Nov 1st, 2016 Shenzhen, China. CMEF is the largest professional procurement and trade platform of the medical industry, the best corporate image release ground as well as a professional information distributing center and an academic, technical exchanging platform. Our leading product Lithium Battery Electric Wheelchair will show in the exhibition.it's folding and portable motorized electric wheelchairs.Welcome to Shenzhen Convention & Exhibition Center to visit our booth. Our booth HL-A20.